Madame Veronique Caron is from Versailles, the Royal City of France. Together with her husband, Dr. Dominique Caron, they established Versailles Dental Clinic in Versailles in 1987 and consequently Versailles Dental Clinic Dubai, in 2007. Veronique studied in France in a Business School specialized in international commerce and management, foreign languages, and communication where she graduated. In parallel, she also studied dentistry as a head dental nurse, and dental x-ray technology including panoramic digital x-ray and most recently, the 3D dental scanner Galileos - presently at Versailles Dental Clinic. 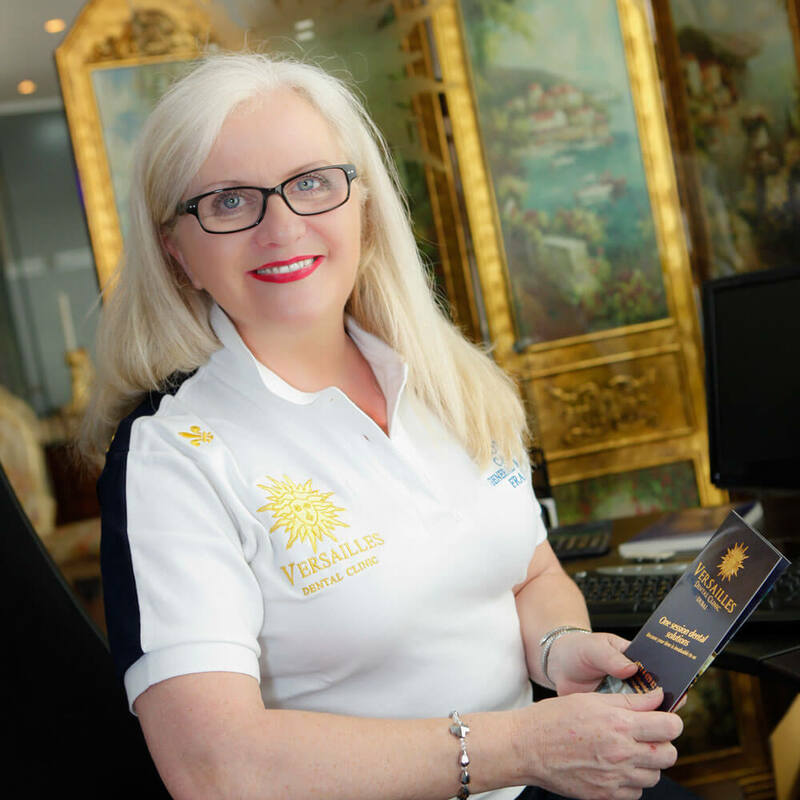 Madame Caron makes your comfort and wellbeing her first priority to create a relaxed and reassuring environment at Versailles Dental Clinic. She is fluent in French, English, Spanish, and always ensures that each guest can be answered in his or her native language - clinic staff speaks several languages, including Russian, German, and more. Supporting dental health among the UAE community, Mme Veronique Caron implements systems for every patient to find satisfaction at any level for his or her treatment. Mme Veronique Caron is a team spirit manager, the soul leader of the clinic, and she is the first advocate for her patients. Mme Caron lives in Dubai with her husband Dr. Dominique Caron and their 5 children.